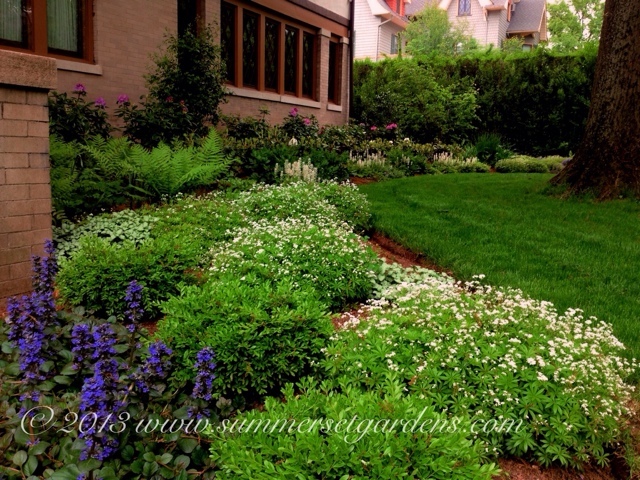 Garden Design: Front yard garden design in NJ. It Is Mid-May and this front yard landscape design is in full bloom and will continue so throughout the spring and summer. Every few weeks different grouping will come into bloom. Garden Design and Construction Services in the NY and NJ areas.